Ants, snakes, spiders, oh my! It’s lovely to spend time outside in the Triad, especially during the spring and summer, but we share our environment with lots of little bugs and insects, some of which bite or sting. When you’re enjoying the lovely weather, keep an eye out for these bugs, snakes, and other creepy-crawlies that could really put a damper on your day. 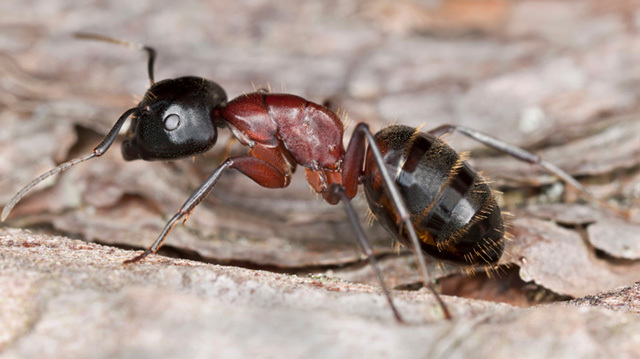 There are many species of ants that don’t bite or sting, but carpenter ants, fire ants, and red ants can all leave a nasty mark if they are disturbed. Carpenter ants are among the largest ants in the Triad region, and as their name suggests, they’ll often be found in dead or decaying wood. Their jaws are well developed to cut through the wood, and a bite can even break the skin. They also inject formic acid into the wound, which leaves a painful burning sensation. Check carefully for ants before you take a rest on a fallen tree! North Carolina has approximately 37 species of snakes. Six species are venomous, but only three are found in the Triad: copperheads, rattlesnakes, and cottonmouths. Snake bites are very rarely fatal, but a venomous bite needs medical attention to avoid scarring. North Carolina has the most venomous snakebites of any state in the United States, and most of these bites could have been easily avoided. If you see a snake, do not try to pick it up, attack it, or kill it. Just leave it alone. Even nonvenomous snakes have tiny teeth that can break the skin and make superficial cuts. If you are bitten by a snake and are not sure if it is nonvenomous, go to your local FastMed Urgent Care to get it checked out. Unlike snakes, nearly all spiders are venomous. Luckily, few have fangs that can penetrate human skin. Most spider bites will cause only minor irritation, with an itching or burning sensation, numbness, tingling, or swelling. Poisonous spider bites are more serious, and can cause fever, dizziness, muscle spasms, and intense pain. 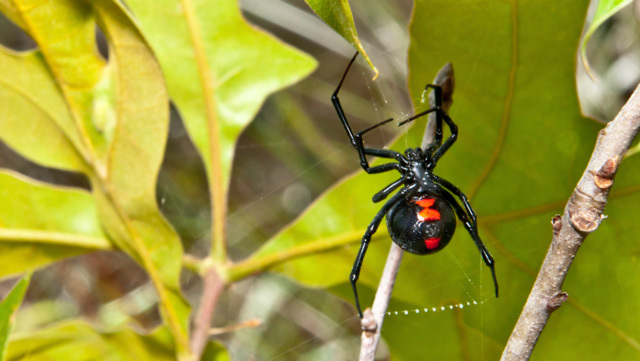 The brown recluse and black widow spiders are the most dangerous spiders found in the Triad. Make sure you know what these spiders look like, and stay away from them to avoid a nasty bite. The best way to prevent ant bites is to wear long sleeves, pants, and high socks when venturing through wooded areas. If you are bitten, cover the bite with a bandage to avoid itching it. If it seems to be getting worse, go to your local FastMed Urgent Care and get it checked out. When it comes to snakes and spiders, leave them alone. If you don’t bother them, chances are they won’t bother you.